Thanks Elliot, but are you suggesting that the ability to zero scopes in sniper class is now a specialisation I have to unlock? After the X Enhanced patch on BF1 that improved the graphics, enemies were still pretty easy to discern. And BFV and the enhanced BF1 version is on par, graphics-wise, so why the visibility disparity between the two games if they are both graphically up to par? I played quite a bit of enhanced BF1, but my impression was that the BFV graphics are noticeably better. I’ll go back, and check BF1 again, just to be sure. Check out the rocks on Hamada, and compare them to a rocky map on BF1 like the cliffs of Empire’s Edge or the outside of Fort de Vaux. I think you’ll see a considerable improvement in BFV. I’ll be back. I’m literally going to go count rocks! 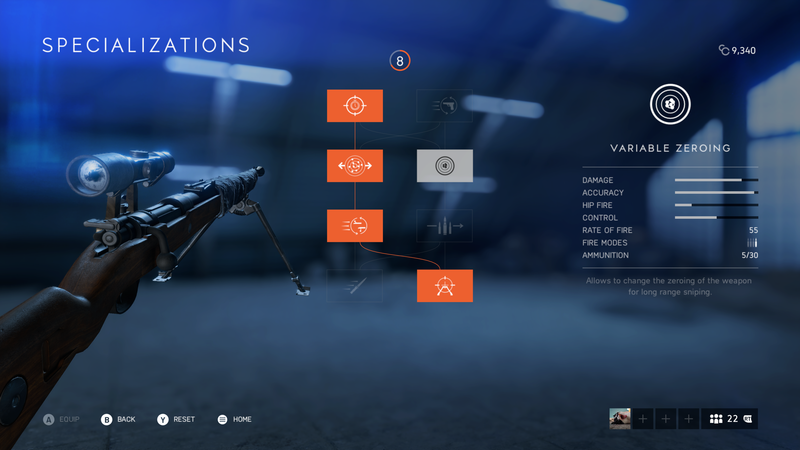 I think the visibility is the biggest difference from BF1 to BFV, but it's made more difficult to cope with at first because of how lethal everything is and the faster pace of V.
You just have to realize the visibility works the same for everyone, and you can use it to your advantage as well. In short, if you are moving or shooting, you make yourself visible. If you are sitting still in shadows/vegetation, you are invisible unless a dutiful recon is scanning with his spotting scope (which I feel like is not as common as it probably should be).